To join Vernon Women in Business, select the Join Now tab at the top of the page. The member registration page will be displayed including some of the benefits of joining. Complete the registration form at the bottom of this page and click Submit. This will bring you to the Membership Payment page. If you wish to pay by PalPal or Credit Card, select the PayPal method of payment. If you wish to pay in person or through e-transfer, select the Bank Payment method. Click Proceed. If you have selected PayPal you will be brought through the payment process on a secure site. If you selected Bank Payment you will skip this step and be brought directly to the Payment Successful page. At this stage, your account will need to be active by the Webmaster or Membership Director. Once activated, you will be able to login to your account by selecting Member Login in the top right hand corner. Once you are logged in, a Member Menu will appear along the left hand column. You may then Create Corporate or Member (Individual) Profile. Your user name is typically the first portion of your email. For example, if your email address is yourname@email . com, your user name is likely to be yourname. It is possible someone will already have your username and in which case the system will generate a username for you. Check your email for more information. Advertising with Hot off the Press (aka: E-Blast) will showcase your business, advertise your special offers and reach your target audience. Amazing 2 for 1 offer that repeats your advertising for only $75 – WOW! Our team will insert this information into our Mailchimp delivery system and arrange distribution as per your instructions. Success is at your fingertips ladies! Want to be a Featured Speaker at one of our luncheon meetings? Great we’d love to have you! Connect with our Education Director and she will be happy to provide the requisite details for your successful presentation – we are so excited to hear what you have to share with us! Attend our business luncheon meetings and you could be our next lucky Vernon Women in Business member featured in our monthly newsletter and through our social media! When the spotlight is on you, everyone will see your business and want to connect with you! See you at the next meeting – and don’t forget to bring your business cards! With your new Username & Password, Login to the Vernon Women in Business website and access the Member Dashboard to the left of your screen. Go to Create Member Profile and follow the prompts, paying attention to areas with a red Asterix. Once you Submit your profile, it will go into Pending and be published as quickly as possible. Once published, you will be able to edit your profile at any time. Login with your Username & Password obtained from your WordPress registration. The Member Dashboard will appear on the left of your screen. Click on Edit Profile to make changes, and be sure to click Save/Submit before you Log out. You may edit your profile as many times as you like. If you experience technical difficulties, refresh your internet browser (page) and/or close your internet connection and relaunch. If this fails please email the webmaster for assistance. For personal help uploading your photo, please contact our Webmaster. What does ‘checking credentials’ mean? Every computer will cache (create a memory) of websites that you visit, and if your Login stalls with this message, please refresh your browser. If you are unable to refresh your browser, simply close your internet connection and relaunch, and the issue should be fixed. The page will also stall if your username is incorrect. If you are still have troubles, please email our webmaster for assistance. Why is my profile missing from last year? In 2013, Vernon Women in Business commissioned a new website to reflect its mission statement to offer networking opportunities that inspire, educate and motivate women to be the best they can be! A new website is like moving house, and when you move house, you move all the belongings inside the house… however, this move could not do that, so member profiles disappeared from public view. All annually paid members receive a link to register within WordPress (the software that operates this website) to create their new Username & Password. Members then Login in on this website to create their unique profile. If you need to check the status of your membership, contact our Membership Director. As of 2013, every member needs to register with a new Username & Password. If you have forgotten your new Password, click the Member Login button at the top right of our website page, and a small box will appear below the Username & Password offering you password assistance. Request your password, and WordPress will email confirmation of your forgotten password to your email in its database. question: What is the first name of the VWIB treasurer? Want to buy Women of the Year tickets? 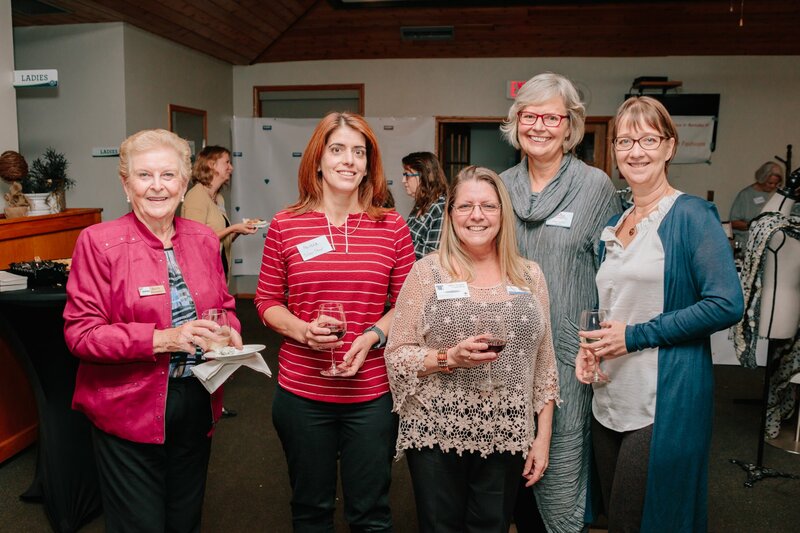 Simply sign up on any of our pages and stay connected to what’s happening with Vernon Women in Business. Our newsletter has an incredibly broad reach throughout the Okanagan, and showcases our members regularly: sign up today!